Today’s society makes it more important than ever for women to be able to protect themselves. Few can deny the large increase in everyday violence that has permeated our society today. Much of this violence is directed towards women. A few years ago there was a commonly held view that was publicly touted as the “best response” for a woman that was attacked. “Don’t fight back” was the incredible and incredulous advice given to women being sexually assaulted. If you fight back, you may only anger the big bad man and then he may kill you! Are you kidding me???? The news is full of reports of CSA’s (Criminal Sexual Assaults) on a daily basis. Many, if you follow them, are a single perpetrator preying on women in a specific area. If you live in an area that is under siege by one of these sick individuals, is your plan to not fight back in the hopes that your attacker will let you live, or would you want to Level the playing field with a firearm, tipping the scales in your favor, even tipping them in your favor? Our media professes, and even the police in some areas that a woman should not carry a firearm because the bad guy is only going to take it away and kill you with it. If that is not one of the most sexist things anyone could say, I don’t know what is. But, it is said over and over again and no one raises an eyebrow! BALONEY!!!! A bad guy can and will take a firearm from ANYONE male or female unless the firearm owner is TRAINED and PREPARED! Be it man or woman, if the firearm owner isn’t training with their firearm constantly the odds are greater that they will lose, or be shot by their own firearm. There will be the odd instance in which an attacker will flee at the sight of the firearm, but are you willing to put odds on that scenario? Remember, the only time we present our firearm is when we are left with no other solution than to use it! The answer is to be prepared. Preparation can take many forms, martial arts if you are inclined to get up close and personal with your attacker, or concealed carry. Both take an investment of time and money to become proficient enough to be able to competently defend and protect yourself. You can’t go out and buy a nice new kimono wrap a black belt around it and call yourself and expert, so why would you feel as though you can go down to the local gun store, purchase a firearm and declare yourself ready to defend yourself? TRAINING…. neither will protect you with out training. You can’t become a black belt over night, and you certainly cannot become prepared to use a firearm in that time frame as well. Training is a funny word, for some reason I see a lot of people “Trained” by their husbands and boyfriends. I know I’m going to take a lot of grief from the man crowd out there, but the vast majority of guys out there are not qualified to train anyone. I don’t care how many guns they own….UNLESS they are a Certified Trainer. take a short trip down You Tube Lane and type in “girl with a gun” and you’ll see the boyfriends and husbands teaching “the Little Woman” how to use the new shotgun. Usually ending with the “Little Woman” on her behind, or the firearm launching dangerously into the air, all while her significant other laughs uncontrollably from somewhere off camera. These videos incense me as they not only put everyone at risk of injury or death, but instill a fear of firearms into the person being “Trained”. I know quite a few people who are anti gun types. I find them very interesting to listen to. I enjoy asking them questions and learning how and why they take their position, many of them vehemently defending it. To a “T” with the exception of one, none of them have ever handled, trained or fired a firearm. All of their feelings are based upon fear, fear that was and continues to be instilled in them by the media and other anti gun folks. The only person that I know that was anti gun that had trained with them and never wanted to see one again was my father, he had served in the Army during the Korean war and would not allow any firearm in his home because he, in his words, “Had seen enough of what firearms can do” With that, he did not profess that no one should own firearms, he would just not allow any in his home. Knowledge drove his decision, not fear. The knowledge that a firearm is a deadly weapon. Knowledge that if you take it to shoulder or hand, the human in front of you is going to cease to exist. Knowledge that he never wanted to be placed again in a situation that would require him to make that decision. If there were none in his house, well, you get the idea. If you are a woman today, go to your local firearms dealer. Take some time to get to know them. Don’t rush into buying a firearm. Explain you have never fired, or have limited experience with a firearm. they will gladly offer training, range time with an instructor and any other service they have to help you become not only comfortable, but proficient with your firearm. Search out a dealer that has an onsite range. Many will rent many different firearms so you can try different models and calibers’ to see what fits you best. A good dealer will not want to pressure sell you into anything. He will want you as a customer for life, mentoring you into responsible firearm ownership. If you have made it this far reading this article, I am about to give you the most important secret to being a woman and carrying a firearm to protect yourself. A secret that 90% of even gun dealers do not know. A secret that will save you life even if you are highly trained! The average distance between a man and his attacker is approximately 3 feet. The average distance between a woman and her attacker is 0 feet. Always up close and personal. 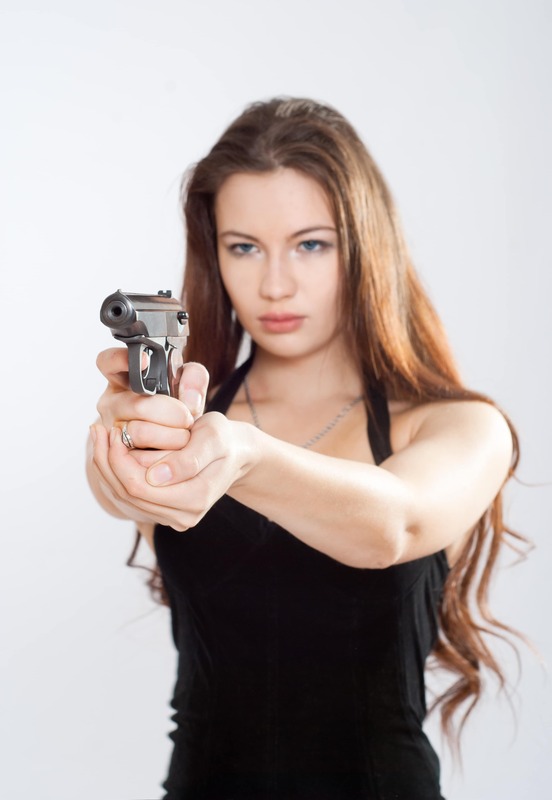 Watch the video to understand why a woman should only carry a revolver rather than a semiautomatic as her personal protection firearm! 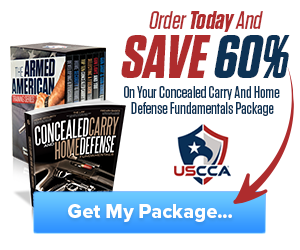 Hey Buddy!, I found this information for you: "Women and Concealed Carry". 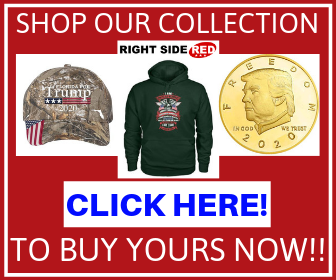 Here is the website link: https://thegunrights.com/women-concealed-carry/. Thank you.